Originally built in 1925, the Oriental Theatre's had been vacant and moth-balled for almost a decade before design work, renovation and restoration was undertaken. 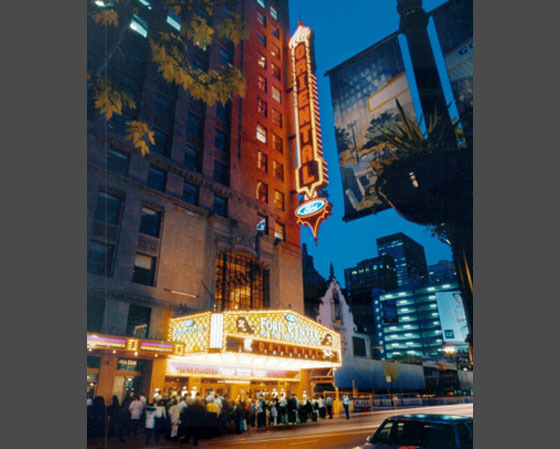 With an enlarged stage house the former vaudeville theater has been transformed into a 2,300 seat performing arts center suitable for large scale theatrical events such as Broadway musical theater, dance and other popular concerts. Although much complex and detailed preservation of the lavish interior finishes and ornamentation in the auditorium and the lobbies was done, a significant amount of physical change also occurred. The lobby was enlarged, sightlines and seating were redesigned and improved, modern concession and toilet facilities were inserted.